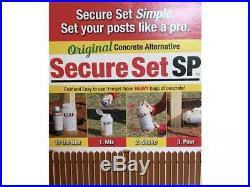 Secure Set – 20 Post Kit. 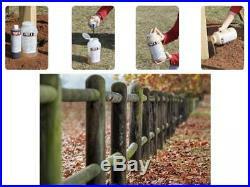 Fast, Secure & Safe Concrete Alternative for Easy Fence Post Installation. 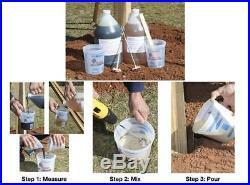 Industrial Strength – Size: 4 Gallon. Item Weight: 43 pounds. 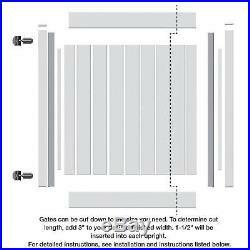 Product Dimensions: 13 x 13 x 13 inches. Item model number: SS-4-40. Item Package Quantity: 1. 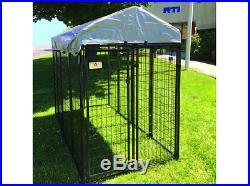 Secure Set is 10x’s faster than traditional use of concrete for fence post installations. 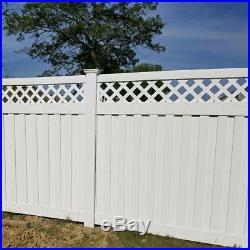 Our proprietary formula works with wood, metal, vinyl, pvc, concrete and fiberglass posts. 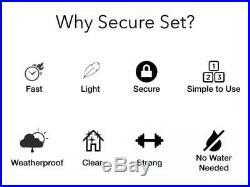 Set it and forget it – Secure Set is designed to be friendly and extremely fast. No water, no mess, no heavy bags – mix, pour and done. Designed for power poles and telephone poles. For more than 17 years, Secure Set has been a reliable and trusted partner to the electric utility, communication and transportation industries. 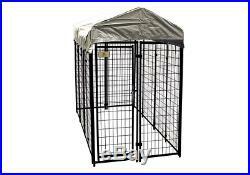 Secure Set is now available for home DIY and commercial use. 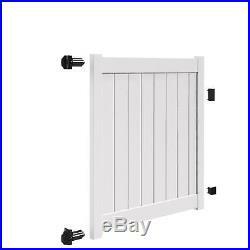 It comes in 5 sizes – single post, 5 post, 10 post, 15 post and 20 post kits (standard 4×4 posts). 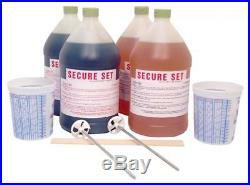 Secure Set is an friendly alternative to traditional concrete, works extremely fast, sets in minutes, not days. As a polyurethane closed cell foam, Secure Set is waterproof, protecting your posts below ground line, and can be installed in temperatures ranging from 0° to 100° f. The item “Secure Set 20 Post Kit. 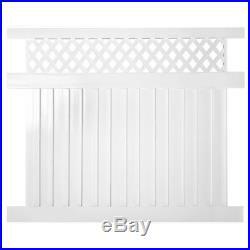 Fast, & Safe Concrete Alternative for Easy Fence” is in sale since Wednesday, May 9, 2018. 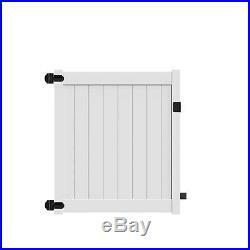 This item is in the category “Business & Industrial\Light Equipment & Tools\Concrete Stamps, Forms & Mats”. 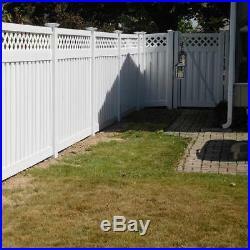 The seller is “grt_deals” and is located in Lakewood, New Jersey. This item can be shipped to United States, Canada, United Kingdom, Denmark, Romania, Slovakia, Bulgaria, Czech republic, Finland, Hungary, Latvia, Lithuania, Malta, Estonia, Australia, Greece, Portugal, Cyprus, Slovenia, Japan, China, Sweden, South Korea, Indonesia, Taiwan, South africa, Thailand, Belgium, France, Hong Kong, Ireland, Netherlands, Poland, Spain, Italy, Germany, Austria, Israel, Mexico, New Zealand, Philippines, Singapore, Switzerland, Norway, Saudi arabia, Ukraine, United arab emirates, Qatar, Kuwait, Bahrain, Croatia, Malaysia, Chile, Colombia, Costa rica, Panama, Trinidad and tobago, Guatemala, Honduras, Jamaica.